The Vishram-baug wada is a historic Peshwa mansion, built in 1811 by Peshwa Baji Rao the second, for his relaxation and entertainment. 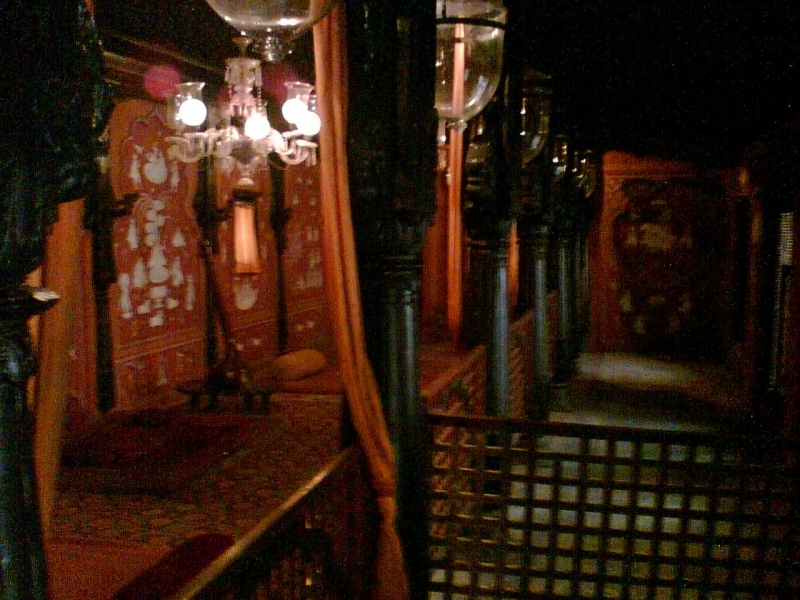 This Wada has a large dancing hall, which still houses a large number of artifacts: paintings, chandeliers, vases and other knick-knacks belonging to the Peshwas. 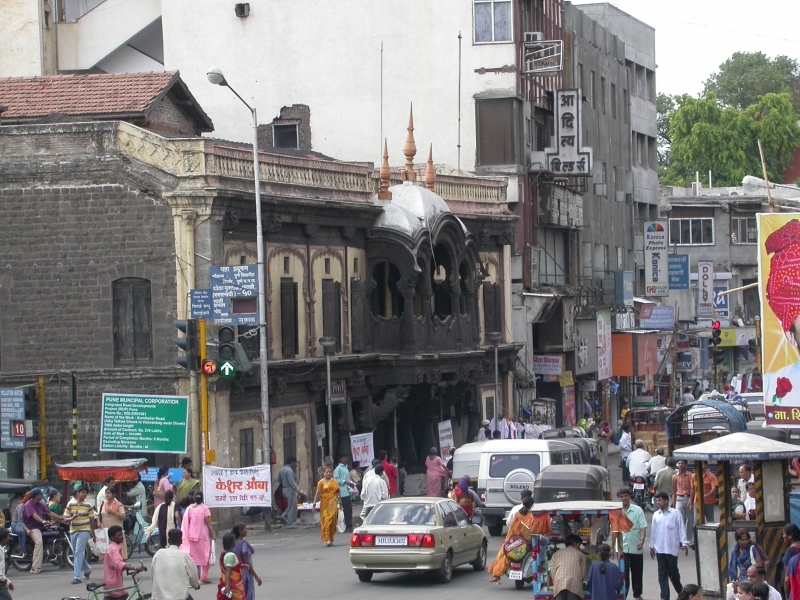 Located amidst honking bustling traffic at the intersection of Bajirao Road and Laxmi Road in Sadashiv Peth, Pune, India, the trappings of modern civilization -- for instance, tall plain modern-day buildings like the Maharashtra Bank building opposite it do a disservice to the stately Vishram-baug wada. A magnificent three-storeyed edifice with great dark processed saag (teak) columns and cream walls. I was mesmerized by the grand carved woodwork of the balcony and entrance. 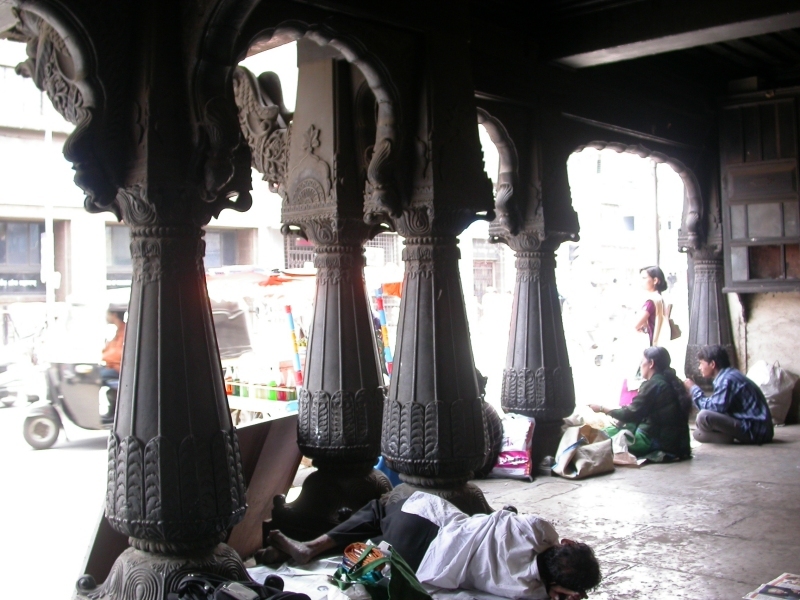 The overall look from the suru (cypress-shaped) columns to the intricate ceilings, took me back to more glorious times. Truly, a façade I will never forget. 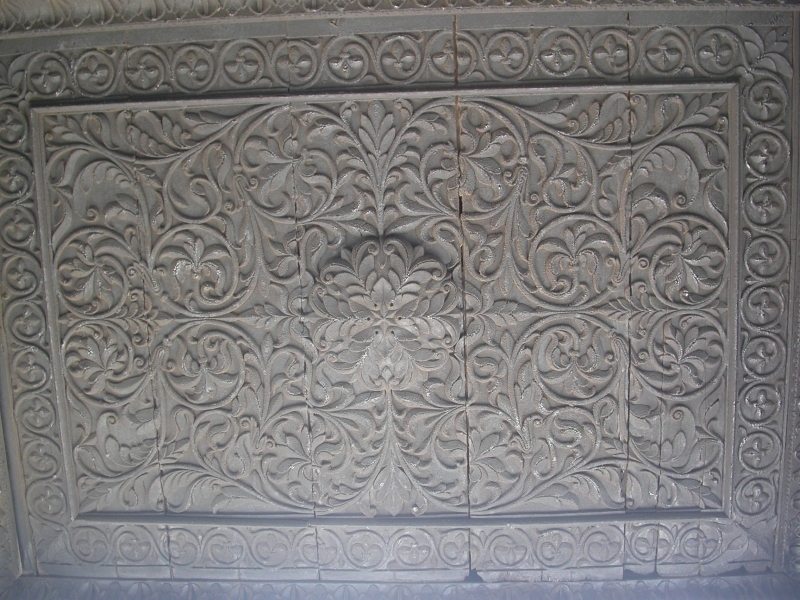 Ceiling of the entrance, supported by ornate winged lion corbels. 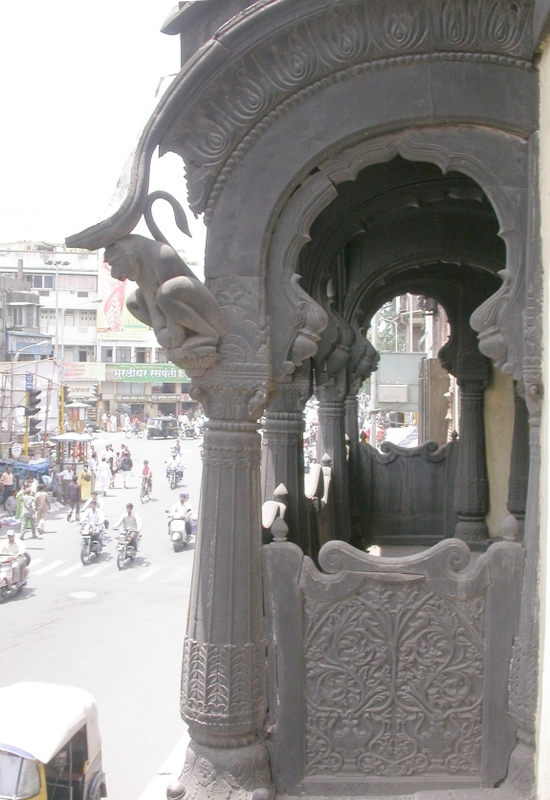 Intricately carved ornamental teardrop teak pillars shaped like Suru (cypress tree) trunks, with banana flower embellishments are characteristic of Peshwa-era craftsmanship. These support a teak gallery on the ground floor on either side of the entrance. The stone floor provides a cool respite from the blazing summer sun and vagrants have taken refuge for an afternoon siesta. Nevertheless a period building, steeped in history and intrigue, I felt a distinct sense of awe, standing before the property created by my ancestor, Bajirao-II. 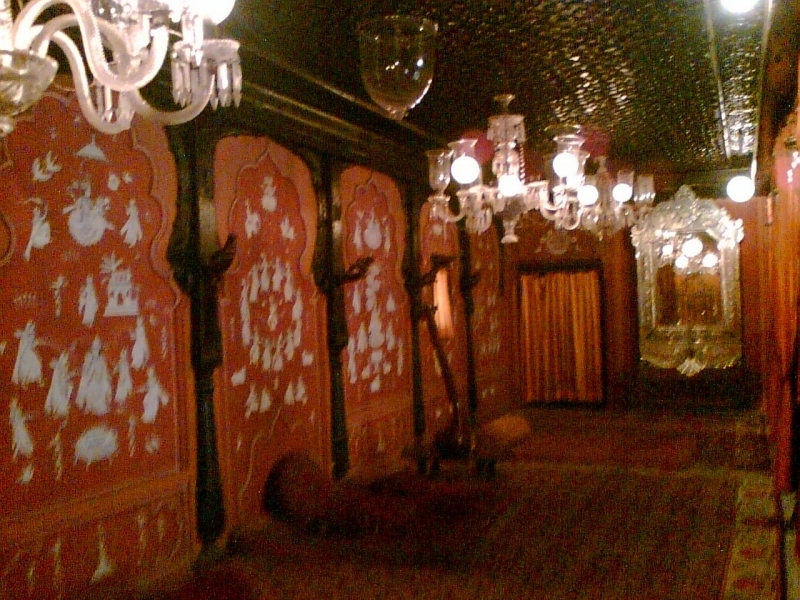 The first floor has a large dancing/darbar hall, facing Bajirao Road with an ornately carved ceiling, carved teakwood pillars and period chandeliers. Bajirao's musicians, once played music in the evenings, from the grand teak faced balcony. Today, the balcony is off-bounds for visitors. Its weathered wooden beams no longer considered safe to hold human weight. The dark oxidized ancient latches and hasps on the doors have ugly contemporary padlocks which jolt the mind back from the glorious reverie of history back to the everyday present. 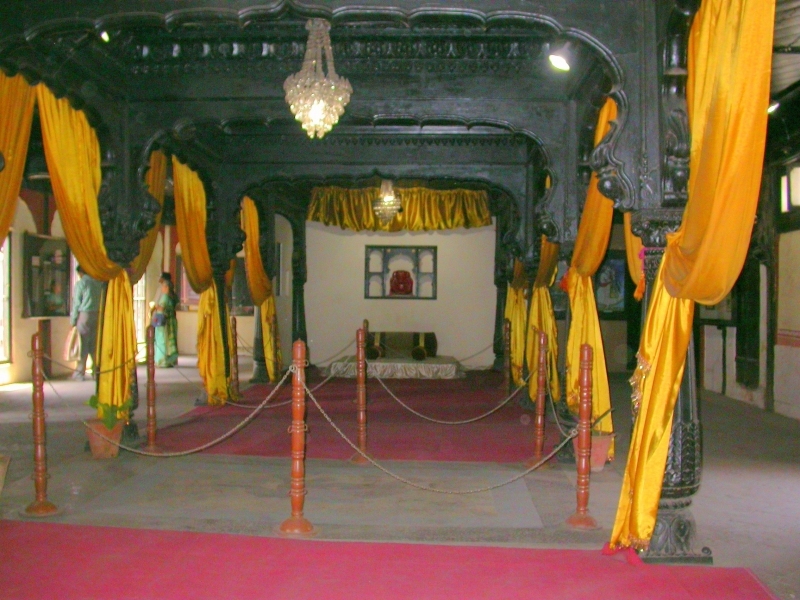 After the Peshwa rule ended and the British took over Pune, the Vishrambaug Wada was used as a jail. From 1930 to 1958, the Vishrambaug Wada housed the offices of the Pune Municipal Corporation. The wada now houses a large number of government offices. Portions of it are now used as a Post office, a shop by the Savitri Marketing Institution for Ladies Empowerment (SMILE) selling handicrafts. There was an excellent exhibition on the history of Pune: "punawaDii te puNyanagarii". Entry was Rs. 3.00. The Mastani Mahal was undoubtedly the pièce de résistance and the principal reason for my visit to the Raja Dinkar Kelkar museum. The museum itself is housed in a quaint Rajasthani-style building on an improbable-looking side-street off Bajirao Road. A prominent “Photography strictly prohibited” sign puts off the tourist-historian in me. The building itself looks dignified with carved teak wood door frames everywhere, recovered from palaces and mansions in Maharashtra, Gujarat and Tamilnadu. Even the elevator entry doors and the little snack shop outside have teak artifacts.